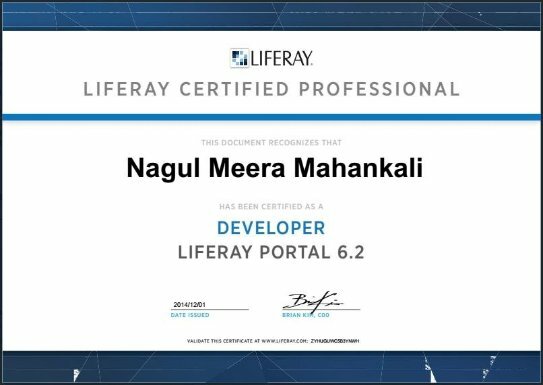 · Having 7 years of experience in Liferay portal development using Liferay 7, Liferay DXP, Liferay 6.2, Liferay 6.1, Liferay6.0.6, and Liferay 5.1 portals. · Experience in developing Web based, Client/Server Applications using Java and J2EE Technologies with Liferay Portal. · Robust experience in development of Liferay 7.0/DXP, Liferay 6.2 Liferay 6.1, Liferay 6.0.6 and Liferay 5.1 versions. · Expertise in developing Liferay 7/DXP Applications using OSGi modular framework. · Good knowledge on OSGi Declarative Service (DS) and Apache Service Component Runtime (SCR). · Hands on developing Liferay OSGi bundles using Apache Blueprint, Declarative Services (DS), OSGi API. · Hands on using module developments tools such as Liferay IDE, Liferay BLADE, Liferay Work Space and Bndtools. · Good understanding in Agile Software Development. · Good knowledge on various implementation of OSGi framework such as Equinox, Apache Felix, Apache GOGO. · Hands on Liferay 7/DXP Theme Development and Single Page Applications using Senna JS. · Google Knowledge in Elastic Search /SOLR and Its integration with Liferay 7/DXP. · Hands on Liferay Migration and Plugin migration to higher version environments. · Hand on using MAVEN and Gradle build tools to develop OSGi bundles. · Good knowledge on JSR 168 and JSR 286 and JSR 362 portal compliances. · Robust experience in portlet development using various frame works like Struts, spring, Hibernate and Liferay MVC. · Expertise in customizing portal. · Expertise in liferay themes development. · Robust experience developing service layers and DAO layers using liferay service builder tool. · Expertise in develop Plugin portlets to integrate multiple frame works like struts-spring-hibernate and spring-struts. · Good experience with LMS portals like Sakai. · Good knowledge on Enterprise Content Management systems like Alfresco and other WCM systems. · Experience in handling build and deployment tools such as Jenkins, GIT, Nexus, Maven, ANT, SVN and Nexus. · Good knowledge on AngularJS framework. · Expertise in writing presentation logic using Java Server Pages. · Expertise in development of Users interface using Alloy UI and YUI frameworks. · Expertise in writing client side java script using JQuery and other java script frameworks like Ext-JS. · Experience in integration of Domain Reseller API with Liferay portal. · Experience in integrating PayPal and EBS payment gateway systems in Liferay plugin portlets. · Good knowledge on Spring2.x and Spring3.x frame works. · Experience in implementing schedulers and cron job functionality in plugin portlets. 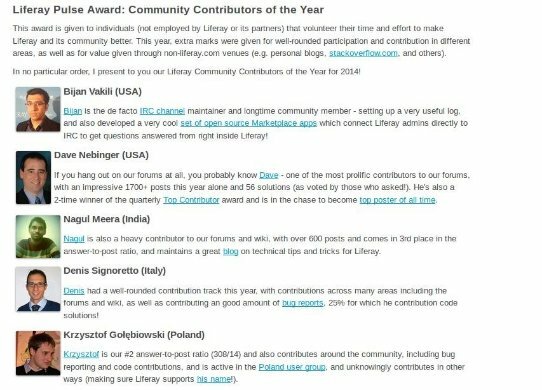 · Experience in using Liferay Tag library and Alloy UI tag library while developing Liferay Plugin portlets. · Experience in developing JSF2.x portlets by using various JSF component libraries. · Knowledge on using deferent JSF component libraries like ICE Faces and Prime faces. 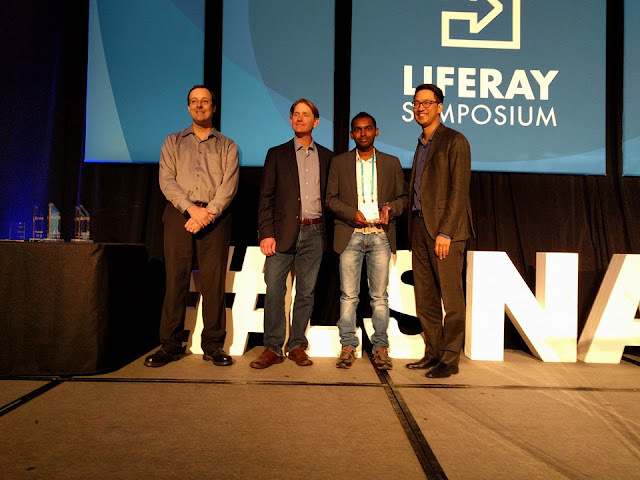 · Having knowledge, using Liferay Alloy UI faces and Liferay faces JSF components for Liferay JSF portlets. 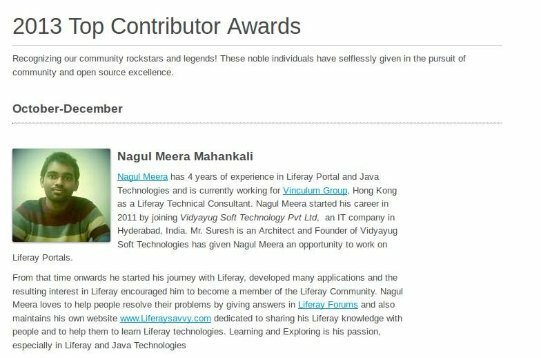 · Good knowledge on integrating jasper reports in Liferay portal. · Knowledge on using Aperte reports in Liferay plug-in portlets. · Having basic knowledge on Jboss Business Process Management. · Having knowledge on Aperte workflow in Liferay based on BPMN 2.0. · Good experience using Kaleo workflow in Liferay portal especially in Liferay WCM. · Robust experience to develop hooks in Liferay plugin environment and I have experience to develop hooks for JSP pages, properties files, modifying the portal services and Events. · Vast experience to develop portlet and deploy portlets in tomcat server environment using Liferay IDE and Ant build scripts. · Having knowledge using ANT script and writing build files projects. · Expertise in using of Liferay IDE 2.0, 1.6 and 1.5 with Eclipse like Luna, Juno, Helios and Galileo. · Experience in prepare analysis documents for given requirement and prepare design and UI documents. · Experience writing SQL queries and procedures for MySQL database. · Experience to use Liferay Dynamic Query API and having good knowledge in Hibernate Criteria API. · Vast Experience to writing Service classes and DAO Implementation classes with Liferay service builder and without Liferay service builder. · Experience in integrating Orbeon forms in Liferay environment and having knowledge in XHTM, XML Pipeline language and basic knowledge in SCALA language. 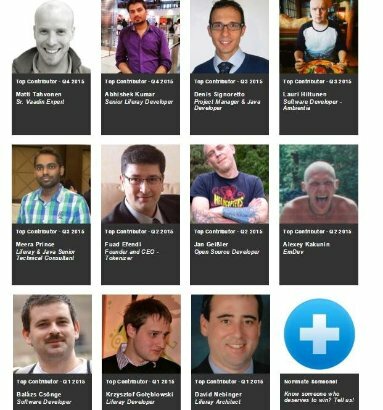 · Expertise in Liferay Administration. · Expertise in calling of Liferay Web services locally and remotely. · Experience with call Liferay JSON web service and SOAP web services. · Good development experience in development of SOAP services and JSON web services for plugin portlet and having good experience to write custom web services. · Having good knowledge and good experience to use different Liferay frame works like Service Builder, Security and Permissions, Asset frame work And File Storage Frame work. · Goof Knowledge on Liferay Jackrabbit file storage framework. 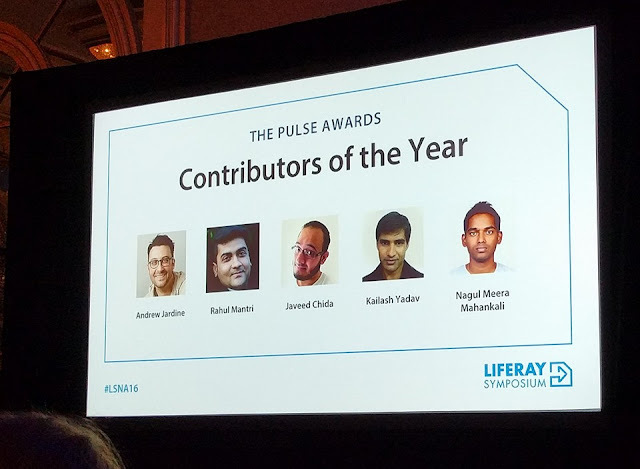 · Having good knowledge in Liferay Plug-in Security Management. · Having good experience to use service layers between multiple plugin portlets and having experience to use Portal services in plugin portlet environment. · Expertise to manage Liferay web content and having good experience to create structure and templates. · Having knowledge to use Export and Import functionality in Liferay for web content and site and site templates. · Good administration experience in manage Users, Roles, Sites, Organizations, Communities and User Groups. · Having good knowledge in role management i.e. create roles and defining permission system for role and assign roles to user. 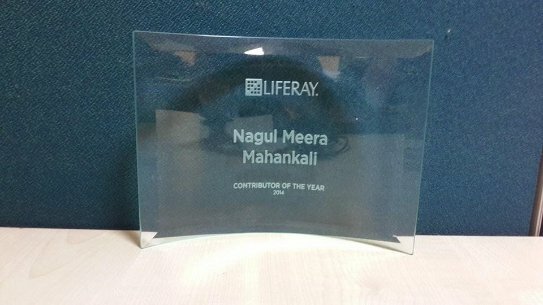 · Good experience to create site templates and page templates in Liferay portal. · Good experience to configure mail and LDAP server for Liferay portal. · Good experience to implementing Single sign on and single sign out using CAS. · Having good knowledge to integrate CAS and LDAP in Liferay portal. · Good Experience to manage Blogs and Wikis in portal. · Experience to call Liferay JSON web services in Android Applications. · Having good knowledge in Android application development. · Having knowledge in Liferay server administration like configure mail, LDAP, add open office converter, configure LDAP, Google Re-Captcha and Open ID. · Writing custom CSS and apply for Liferay site on the fly. · Having good knowledge in integration of jersey web services with Liferay. · Having good experience in REST and SOAP web services. · Having knowledge in JAX-RS and JAX-WS. · Having knowledge on deploy Liferay portal in cloud and dedicated server environment. · Good knowledge on Pentaho BI tool and have knowledge to use Pentaho BI tool in Liferay. · Good Programming Skills in JAVA, JDBC, JSP, SERVLETS and JNDI. · Working with Tomcat7.x, Jboss 7AS and Tomcat 6.x Server. · Quick learner, adaptable and process-oriented, with a Good customer orientation. · Experience with Ajax and Reverse Ajax using DWR. · Expertise in various AJAX libraries related to Liferay development. · Having Knowledge in Vaadin portlet development. · Basic knowledge in GWT and Adobe Flex. · Basic knowledge in cloud, Python, and Ruby. · Working as Software Developer III (Liferay &Java) in Choicegen LLC. Atlanta, Georgia from May- 2017 to toll now. · Worked as Manager-Specialized Services (A1) (Liferay &Java) in Hitachi Consulting India Pvt. Ltd. Hyderabad, India from April- 2016 to May- 2017. · Working as Senior Software Developer (Liferay &Java) in IAMSURAJ B.V. The Hague, Netherlands from October- 2015 to toll now. · Working as Senior Consultant (Liferay &Java) in CIGNEX Datamatics Pvt. Ltd, Bengaluru from June- 2015 to Septeber-2015. · Worked as Software Engineer in Vinculum Group Hong Kong from May- 2013 to July-2014. · Worked as Software Engineer in Vidya Yug Soft Technologies Pvt. Ltd, Hyderabad from January- 2011 to April-2013. AngularJS, Alloy UI, AJAX, JQUERY, CSS, HTML, XML and XSL. Operating Systems : Linux Ubuntu, Windows Family. Technologies : Tomcat 7.x, JDK1.8, Servlets, JSP, MySQL. Tools : Liferay DXP/Liferay 7, Liferay Portal 6.2 EE, MAVEN, Liferay IDE, Liferay BLADE, Gradle, Eclipse. Duration : June ’2017 to till now. Role : Senior Liferay / Java Consultant. NYU Global Home is New York University Portal, which provides Collaborative platform. It is one stop portal where stakeholder can access all tools. It provides Profile Service and Email Settings Service. It integrated with various services such as Google Email, Ticket Creation Process and Profile Search. Technologies : Tomcat 7.x, JDK1.6.0, Servlets, JSP, MySQL. Tools : Liferay Portal 6.2 EE, MAVEN, Liferay IDE, Eclipse, SVN. Duration : April ’2016 to till May ’2017. Nintendo Developer platform is portal built on Liferay Portal and its offering various services to the Nintendo Partners. Nintendo have various businesses, which they are operating from across the globe. Such as Agreements Management, User Management, Product /Project Management and Financial Management. Title : Short URL and ShortURL Analytics (IAMSURAJ B.V Product). Tools : Liferay Portal 6.2 CE, MAVEN, Liferay IDE, Eclipse, SVN. Duration : October ’2015 to till now. Short URL and Short URL analytics is Liferay Application to make Long URL to Short URL. This will help you to share your URL across the social media and other platforms. This feature completely available for all Liferay versions. Short URL analytics will capture the details when the people follow the short URL that already shared in different places. It will provide analytics like type of browsers, type of operating systems and location. It will provide visualization graphs, data analysis and export data into different formats. Title : Team Sites (Schneider Electric Intranet Portal). Tools : Liferay Portal 6.2EE, MAVEN, Liferay Studio, Eclipse, SVN. Duration : June ’2015 to September ’2015. Team Sites is intranet celebrative platform for Schneider Electric and it provides that internal employee teams will create the sites. The sites can have features like document library, wikis, blogs and message boards from which they can collaborated each other. Sites have other features like Survey and Workflow forms. Survey will provide platform to create dynamic survey and share the survey to the targeted employees. Workflow forms ability to create forms and share the forms. All form submissions process through workflow. Client : Blue Cross and Blue Shield Association. Tools : Liferay Portal 6.1EE, Ant, Liferay IDE, Eclipse, SVN. and ‘episode of care’ payment strategies. Title : A S Watson My Portal. Client : A S Watson Hong Kong. Technologies : JBoss AS 7.x, JDK1.6.0, Servlets, JSP, MySQL/Oracle. Tools : Liferay Portal 6.lEE, Ant, Liferay IDE, Eclipse, SVN. Duration : May ’2013 to July ’2014. Title : One Click Web portal. Client : Vidyayug Soft Technologies Pvt. Ltd.
Technologies : Tomcat 6.x, JDK1.6.0, Servlets, JSP, MySQL. Tools : Liferay Portal, Ant, Liferay IDE, Eclipse, SVN. Duration : Aug ’2012 to Mar ’2013. One click web portal is providing robust functionality that makes you can build your own dynamic portal for different business uses. These portals solve your many educational needs as well business needs. Form this everybody can get their own dynamic web sites less than minute. It’s not just static web portals these are dynamic web portals. This allows customer can create custom roles and customer can define permission for the roles. This system provide feature to create new web pages and design web pages these changes will dynamically applied for the site. The customers who create web site become administrator so that he/she can modify the entire website. This system is providing different feature like Document Management System, Image gallery, Colander and Wiki portlets. So admin can personalize web site and also he can prepare pages for his/her stake holders. Tools : Liferay Portal, Sakai Portal, Maven, Ant, Liferay IDE, Eclipse, SVN. Duration : Oct ’2011 to Jun ’2012. G-Class room is platform to share knowledge across the globe. This system providing virtual class room facility so that mentor can teach classes through online. This Virtual class’s room is medium to transfer knowledge across the globe. Here everybody can teach courses and learn courses. Here system providing free courses as well as premium courses. Anybody can create courses and sell the courses through Online. This system fully integrated with LMS features so that we can create courses, prepare syllabus and giving assignment to learners who want learn courses. Here this system fully integrated Sakai LMS portal so that it having 69 Sakai LMS tools to manage entire G-Class Room functionality. Universal communication provides communication between portal people. This Universal communication support mail and SMS. Here preparing user list is very dynamic like search criteria prepare on the fly. The criteria configuration done in database tables so that we can add multiple numbers of criteria’s. Here Dynamic Query DB algorithm processes the preparing of search criteria based on inputs. 1. MCA from OSMANIA University with an aggregate of 72.05% in 2010. 2. B.Sc from Kakatiya University with an aggregate of 80.83% in 2006. 3. Intermediate from Board of Intermediate Education with an aggregate of 56.60% in 2003. 4. S.S.C from Board of Secondary Education with an aggregate of 78.33% in 2001. Hi...Please provide the CAS Server and CAS Client Integration in Liferay without Database Connectivity.Please help me it's a urgent requirement for me and provide the war files download. Hi Without data source how could you get the user credentila for authentication so data source is required. we can use liferay data base or u can use LDAP servers like AD server or Apache Directory servers as data source. In portal settings in conrol panel u can configure LDAP and CAS. configure LDAP server bean configuration in deployerConfigContext.xml and get LDAP support jar file from cas server.